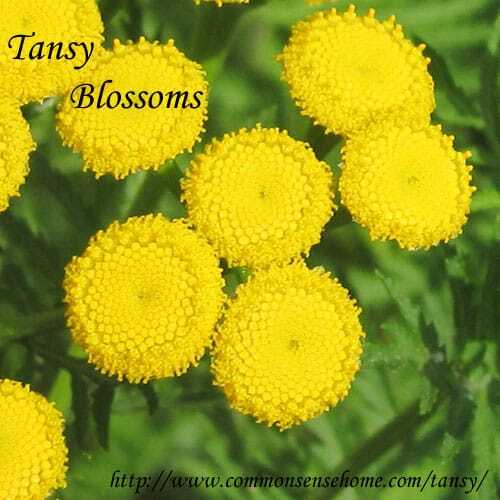 Today’s featured plant is Tansy, Tanacetum vulgare. Tansy is also known as Common Tansy, Wild Tansy, Gold Leaf Tansy, Stinking Willie, Bitter Buttons, Ginger Plant, Cow Bitter, Scented Fern (for the odor), Cheese (for the flowers), Mugwort, or Golden Buttons. (source 1 and 2) This is not the same plant as Artemisia vulgaris, Common Mugwort, or Tansy Ragwort, Senecio jacobaea. It is in the Aster family (Asteraceae), which contains many other species, including the Weekly Weeder plants Ragweed, New England Aster, Ox-eye Daisy, Pineapple Weed, Yarrow, Heath Aster and Joe Pye Weed. Tansy is native to Europe, but is now found around the world. In North America it ranges from the arctic circle to the deep south, except for the extreme south east U.S. and Texas (see map). It is listed by several states as a noxious weed. Tansy prefers dry ground in full sun and disturbed soils. It is commonly found along roadsides. I took some of my photos near our hotel in Duluth and others at a campground in the Upper Peninsular of Michigan. The plant is a perennial, growing 2-4′ (60-100 cm) in height. It often forms dense clumps of growth which display bright yellow blasts of color along the roadside. Flowers are small, yellow and button-like. They look like the center of a daisy without any white petals. The flowers are composite, i.e. made up of many tiny flower heads. The little “buttons” are about 1/2″ across, and are borne at the top of the plant in clusters of many buttons. These flower clusters are several inches across. They bloom in summer and fall. Leaves are simple lobed and fern-like. They are attached in an alternating pattern up the length of the stem. They range from 4 – 8″ (10 – 20 cm) long with many sharp teeth. The plant stem is smooth, not prickly. The plant has a very distinctive, pungent odor when crushed, which has led to its use as a bitter tonic and pest repellent. The roots form a dense mat of shallow runners. Once established, it's hard to get rid of (thus the noxious weed designation), so be careful about encouraging it where it might become a nuisance. When I was taking photos of the tansy blossoms, they were gently humming with a variety of bees and other insects, including the Asian lady beetle shown at the top of the post. They are popular with nectar and pollen feeders such as bees, butterflies and wasps, but their bitter taste keeps them largely safe from foliage eaters. They will give an “off” taste to milk if consumed by cattle or goats. In its native Europe it has more insect pests that do feed on the foliage. Caution: Tansy should only be used internally under the supervision of a trained herbalist. High doses have been known to cause miscarriage and even death. 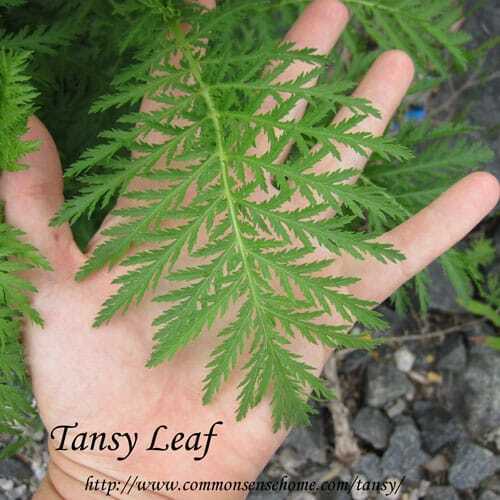 Tansy has been used historically for both food and medicine, however, it contains the toxic substance thujone which is dangerous in large doses. Mountain Rose Herbs also states that tansy may also cause “hallucinations, spasms and convulsions”. This is not one to mess around with casually. 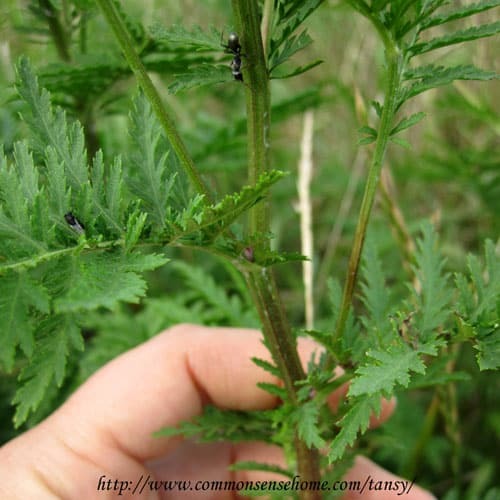 The Holistic Herbal suggests the use of tansy as an effective dewormer for roundworm and threadworm. It also suggests the use of tansy as a digestive aid to ease stomach upset (as a bitter herb). At least one source states that the thujone is neutralized by cooking, but I've had difficulty finding other sources to corroborate this. Some people may experience sensitivity to topical use as well, but The Holistic Herbal mentions the use of a lotion made with the plant for treating scabies. A Modern Herbal describes other historical uses, including the treatment of gout, a recipe for tansy cakes, and the use of tansy as a spice and flavoring. 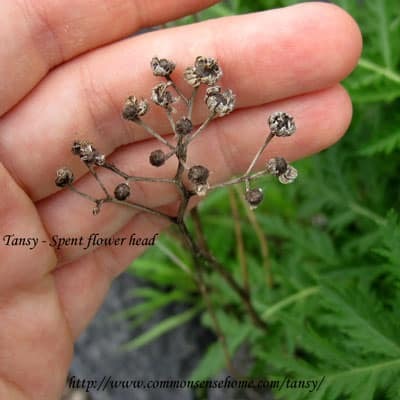 Historically, tansy was used for embalming, and was packed in coffins, tucked into funeral wraps and sometimes made into wreaths to adorn the dead. Tansy is a good all-round bitter Insect repellent. It is great planted near Cabbages, Roses, Raspberries & Grapes. It concentrates Potassium in the soil, so benefits any plants nearby! Plant it for protection against Japanese Beetle, Striped Cucumber Beetle, Squash Bug, Cut Worms, Cabbage Worms, Ants, Flies, Mosquitoes & Fruit Moth. It is noticeably helpful under Peach Trees, which it assists greatly by warding off flying insects & keeping borers away. During the American colonial period, meat was frequently rubbed with or packed in tansy leaves to repel insects and delay spoilage. Tansy was frequently worn at that time in shoes to prevent malaria and other fevers. Tansy can be used as in companion planting, and for biological pest control in organic gardens and sustainable agriculture. It is planted alongside potatoes to repel the Colorado potato beetle, with one study finding tansy reduced the beetle population by 60 to 100%. In the 1940s, distilled tansy oil mixed with fleabane, pennyroyal and diluted alcohol was a well known mosquito repellent; collectors were paid five cents a pound for tansy in full bloom. 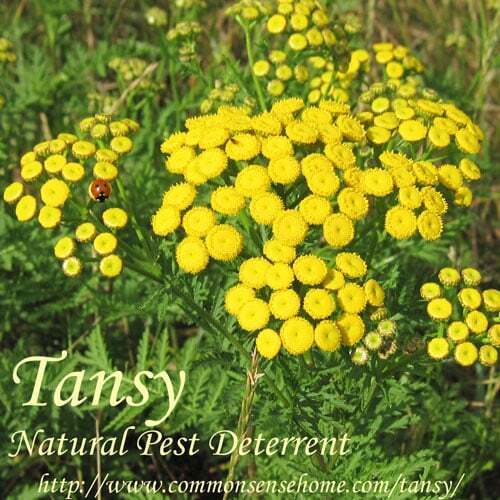 Research has found that tansy extracts do indeed repel mosquitoes, but not as effectively as chemical pesticide products containing diethyltoluamide (i.e. DEET.) In 2008, researchers in Sweden investigated the use of tansy to repel ticks, showing a 64–72% repellency for each oil constituent. Given that DEET has been linked to nerve damage, perhaps it's time to give this Old School pest deterrent a fresh look. Mountain Rose Herbs stocks a wonderful variety of herbs and seeds, as well as prepared teas and other herbal products . They also carry an assortment of bottles, droppers and other supplies, plus some really soft organic cotton t-shirts. They are my go-to source for items I don't grow myself, as well as one of my longest running affiliates. It makes a lovely yellow dye too. It’s considered an invasive weed here and our roadsides are full of it so no one seems to mind that I gather it by the armload this time of year. Tansy is also a good way to kill a horse. I will continue to kill it when I find it. If you have it in a horse pasture, that seems like a logical choice.